The investors who fuelled the housing market in its most recent boom are the same ones who are behind the largest property downturn in Australia since the global financial crisis, market watchers and economists say. Recent figures from the Australian Bureau of Statistics show that house prices declined by 2.4% in the December quarter, which led to an overall decrease of 5.1% through last year. 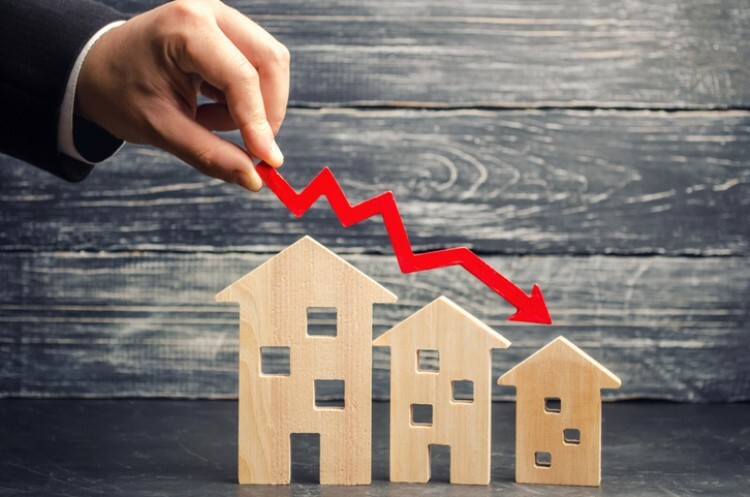 BIX Oxford Economics senior manager Angie Zigomanis said the downturn was mainly due to the slump in Sydney and Melbourne, where investor demand fell drastically as stricter regulations continue to bite. The 5.1% annual decline in prices overtakes the price fall of 4.6% recorded during the financial crisis. 2018 was also a record for Sydney, which posted an annual price decline of 7.8% — the worst performance the city had since 2003. Melbourne also underperformed, recording a 6.4% annual fall in home values. ABS chief economist Bruce Hockman said several drivers are behind the downturn in these big housing markets. With regard to other markets, results are varied. For instance, Brisbane's house prices declined by 1.1% over the December quarter after the city remained flat for most of the year. Zigomanis said there is a risk that values could fall further not just in Brisbane but in other markets such as Perth and Darwin. "Weak economic and employment conditions and an excess dwelling supply remain a factor in the Perth and Darwin markets. Without a light on the horizon in these markets in 2019, prices are likely to continue to fall," he said. However, there are markets that performed better than most last year, particularly Adelaide, Hobart, and Canberra. "The Adelaide market has not participated in the east coast upturns and prices continue to hold up there, given that households are unlikely to have been too stretched to begin with," Zigomanis said. "Solid economic conditions and population growth in Hobart and Canberra are driving the market in these cities." Despite this, there is a high chance that growth in Canberra and Hobart will flatten out this year. "Nevertheless, the decline in investor demand will impact across the board while rising supply is also having an impact across most markets, and any prospect for price rises in the other capital cities will remain limited, with small falls in some markets still possible," Zigomanis said. How bad will the housing downturn turn out this year?